Bedtime stories are probably one of the most effective ways of developing children’s imagination from an early age. And they also create one of the most powerful childhood memories. No matter how old we are, we always remember our parents or grandparents’ tender voices reading us over and over again the bedtime story we enjoyed the most. Unfortunately, being a busy parent doesn’t always give you the time to read bedtime stories to your child. But from now on, you don’t need to worry. 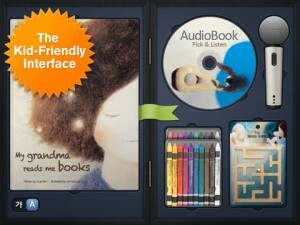 When you aren’t there, let My Grandma Reads Me Books app take care of it. Click here to get the bite on - In Love? 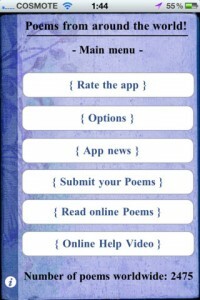 Share Your Poems With The Community! 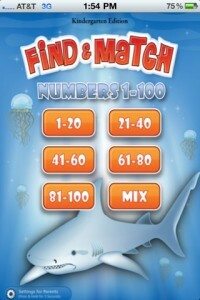 From the creators of Find & Match 1 – 100 comes the newest puzzle/quiz game that’s aimed at children 6 to 10 years. Last time it was sharks, now we’re talking pre-historic animals that became extinct before there even was a world for us to live in. Yes, you guessed it: dinosaurs. 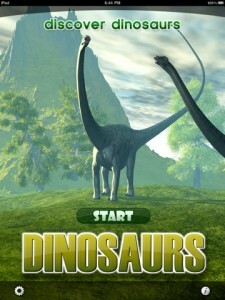 Discover Dinosaurs, iPad-only, wants to push children towards learning the most basic facts about these creatures, but does the taken approach make things fun and interesting enough for their target audience? A bit doubtful. It’s part puzzle part quiz. Children will first need to take a three question quiz at the beginning of each level. The questions get tougher as the child progresses and you need to get at least one of the three questions right before you can unlock the next level. 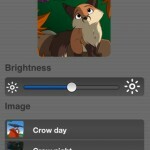 Nightlight + Lullaby songs & Sleep sounds App Review – picture nightlight and a variety of sounds to help sooth the little one off to the land of nod. 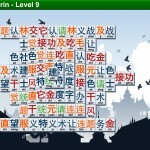 TileSpeak Mahjong – learn how to speak Chinese while having fun playing Mahjong on your iPad or iPhone. There’s a plethora of applications and games designed for children that are aimed at helping them master certain skills as they develop. It’s important for the children to be able to understand the app and use it with ease, and it’s important for the parent to be able to explain to the child what he doesn’t understand and perhaps keep track of the progress made. Find and Match Numbers goes out and tries to solve the first part of the equation: making it easy for the child to understand and use the app in a way that will further his development using positive encouragement. Are you Spanish, German, Russian, French or Italian? Is your English poor and would like to improve? There are thousands of apps for that. 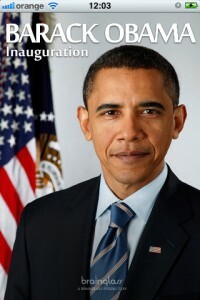 One of them is Learn English Reading Obama, where presumably you get to improve your command of the English language by reading through President Barack Obama’s inaugural speech from January 20, 2009. The first thing you see when you first open the app is a list of dictionaries. This basically means that your native language must be Spanish, German, Russian, French or Italian, or you won’t find much use for this app. Personally, I wish there was an English-to-English dictionary, where advanced English speakers could polish up on their vocabulary.